I thought it would be appropriate to have a quote from Henry Ford. His birthday is on Friday, July 30th. With what we all have gone through with the economy, many companies didn’t make it, some made it but will be changed forever, others will have gained from this experience and get stronger. One of my favorite sayings about my time in the U.S. Navy is that there are three ways you can come out of the service; 1) worse than you came in, 2) the same as you came in, or 3) better than you came in. The first two take little to no effort; the third requires work. 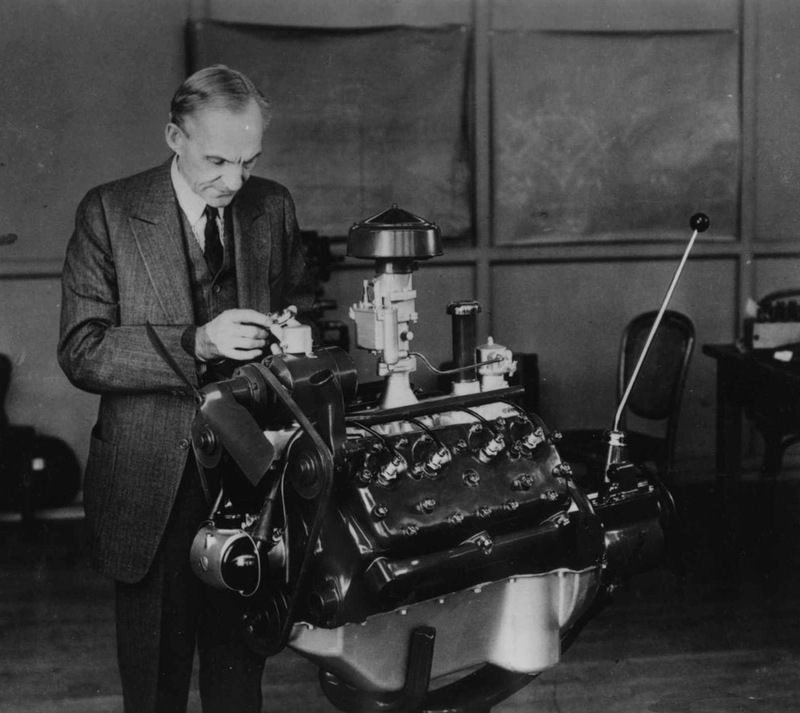 I think one of the things that comes to mind for me about Henry Ford’s quote is that we should capture Lessons Learned after any type of business endeavor, whether it’s a complete ERP installation, marketing campaign, kaizen event or even a badly run meeting. It can be a formal written document of what worked, what didn’t or what we could do better next time or it can be as simple as honest reflection of what happened. When I work with clients on major projects not only are we tracking what is going on during the project, we have a project close-out too. Members of the project team get to evaluate how we did on the project. This allows us to look at it from a process point-of-view for improvement. So even if we didn’t fail, or get the results we expected we can begin again more thoughtfully. 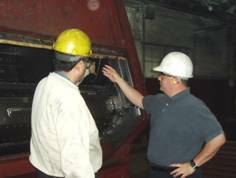 I remember helping a company on a Total Productive Maintenance (TPM) Kaizen Event around a machine early in their Lean journey. The team did a fantastic job making improvements and changes. Near the end of the event before the closeout I asked the supervisor what he would like to do to recognize the team for their efforts. With agitation in his voice he replied, “Nobody around here ever tells anyone they did a good job. You only hear about it if you screw things up.” I asked, how come? He said “That’s they way it’s always been.” I could sense his frustration that his bosses never told him when he did a good job. I asked “Then why don’t you start?” He immediately replied “Because no one here does that!” I asked again, “Why don’t you start doing it?” He didn’t have an answer. I couldn’t figure out why he didn’t want to tell the team that they did a good job on the TPM Event. It was so in deeply ingrained into their history that he wasn’t willing to be the one to stop to change this portion of their culture. The good news is that we talked for a little while and he did decide that he should thank everyone on the team and to make sure that he publically recognized their tremendous efforts during the close-out meeting where he knew his bosses would be in attendance. So let’s take a minute to let people know that they are doing something that is praiseworthy, that their contribution counts, that they are making positive changes for their workplace. To everyone at 5S Supply, I want to thank you for our success! At 5S Supply we are celebrating the Visual Workplace this month of July so I thought it would be appropriate to use the following quote. Let’s break it down and take a closer look at some key words and phrases. Make your workplace into showcase that can be understood by everyone at a glance. No one knows their workplace better than the value-adder who owns that area. Start with the individual – what would make their work easier? How could we reduce the amount of unnecessary movement (motion waste)? How do we make is easy for everyone to understand the current condition at a glance? Use things like signs, lines, labels, color-coding and communication boards. In terms of quality, it means to make the defects immediately apparent. In terms of quantity, it means that progress or delay, measured against the plan, and is made immediately apparent. I think this is interesting because Mr. Ohno chose to mention quality first and then quantity. He also points out that we have to make defects apparent or known and not hidden. One of my favorite stories is back when I was a quality manager at a company and I had to tell the operations manager “We don’t need 800 parts per hour. We need 800 good parts per hour.” He was more focused on production rates that actual useable products. It’s easy for people to forget that when they have always been under the gun to hit production targets or numbers and not fully understanding the impact of defects (as waste). Ohno also mentions twice that it needs to be immediately apparent. It doesn’t do an operator much good to see a defect chart from last month. How are they supposed to respond to that? 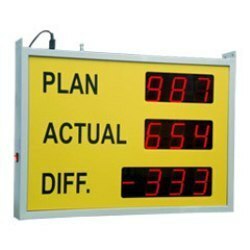 Try 60-minute boards or even real-time indicators of actual versus planned. When this is done, problems can be discovered immediately, and everyone can initiate improvement plans. One of the things I say when trying to describe smaller batch sizes and pitch increments “As a supervisor when would you like to find out if there is a problem? Ten days after it happens and it gets to the customer? Ten hours after it happens and it is ready to ship? Or ten minutes (or one minute) after it happens and we can take care of it right then?” The answer is evident that we want to initiate corrective actions as soon as practically possible. I also like that Mr. Ohno mentions “everyone” is involved, not just the team lead, supervisor, manager or the quality department. Everyone gets a chance to jump in and help. So let’s try to make our workplaces more visual and easy to understand at a glance as Taiichi Ohno would want. For more information on the Visual Workplace visit www.5Ssupply.com. I thought it would be nice to reference something close to one of our founding fathers as we are just coming off our Fourth of July celebration. Quick note: I have a problem with using this quote today because I found at least three other authors credited for creating it. 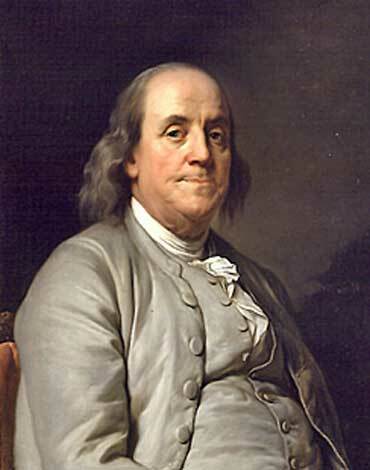 I’ll go with Benjamin Franklin for our purposes. Well, you all know we use that saying as part of any good 5S program for the second “S” Set-in-Order. Could this have come from Dr. Franklin’s earlier years when he was working in his print shop? He must have realized that it saves time (and therefore money) to be able to find the right items quickly and to keep things orderly. Get the people involved that use the items to help organize them. This way they have a sense of ownership because they helped create the system. Make it easy to find items and easy to put away. Find the best location for items. Sometime this means having them in more than one place to be convenient. Use visual controls like signs, lines, labels and color-coding to help easily locate items, even when they are missing. Lead by example; practice what you preach by organizing your items and keeping them that way. If your work area is a mess it is hard to convince other people to organize theirs. Only put in the level of control needed. Do not over-control or over-control. Remember to keep it easy and simple. P.S. July is dedicated to the Visual Workplace at 5S Supply this month. Check it out.